Ming the Mechanic: What was it that Hitler didn't know? What was it that Hitler didn't know? This past Monday, I explained that the cause of all mistakes is ignorance. Universe is not certain — it is not structured as we humans have believed for countless centuries. Religion and the objective scientists were wrong. The physics of relativity and quantum mechanics describe a Universe in which things are not and cannot be perfect. A Universe in which, we humans are constrained to make all our choices without ALL the information. Mistakes are simply holes or gaps in our knowing — lapses in our understanding. Scientists and all humans who seek to know must embrace humility when they stand before the totality of Nature. The principle of Non-Allness is a fundamental law of nature. The fact that all actions occur in ignorance is a fundamental ‘knowing’ derived from the Principle of Non-Allness. And the first corollary of that principle — the Principle of Innocence is an even more important extension of our human ‘knowing’. If we understand that all errors are committed in innocence, then how we treat those who err will change forever. Therefore, the only proper response to mistakes is: 1) analysis to determine what wasn't known and who didn't know it, 2) education of those making the mistake, and if others were injured, 3) restitution by those causing the injury. ... Sometimes I am asked, but what about really evil people? 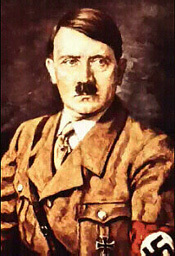 If ignorance is the cause of all mistakes, then what was it that Hitler didn't know? And he goes on to provide some answers. See the article. Refreshing perspective. He's right. 7 Sep 2004 @ 22:48 by vaxen : Right? I think he is totally off the mark but then I'll have to go see what 'else' this 'innocent' wishes to denude us of. The Scio MU? Well, saying that "all errors are committed in innocence" goes a little too far, I think. The thing I agree with is that everybody does what they do because in their reality it makes sense, and they judge it to be the most workable strategy from what is available to them. They think it will work, and that they can get away with it. If they could see clearly enough, and think clearly enough, they would act differently. But, with incomplete information, it might well seem to somebody to be the winning strategy to be "evil", and to get everybody else before they get you. Not innocent, but ignorant of a bigger picture alright. Perception would be "the frame inside". Information comes in and is subtly and effectively made to fit in. Sometimes we receive a flood of information that changes our perception, but I guess it works better if the receiving brain is ready to change. How do our brains get ready? I think I'm more ready to change my mind when I'm not in a hurry, and when emotions are not too high, and when "fundamental" things are not in danger. We all have incomplete information. At the same time, we all have complete perceptions, in the sense that any perception (no matter how simplistic or subtle) affects all information (new or remembered). All of it, so it's "complete". At least that's how I see it at this moment. Ming: you're general exploring attitude opens mine. I guess that's how it works in general. While it's true that Hitler was ignorant of the mentioned bloopers or blindspots, I think it is a messianical drive that propels one far beyond the ring of making mere mistakes into a far nastier world where really large slaughters can take place. Ideologies aside, I feel that Hitler hogs the spot light of blame when compared to Stalin & Mao. At this moment there are 18 active genocide campaigns going on in the world. While I'm certain there are deficits of info going on in each one, I think something far creepier than that is at the root. I doubt that education or a spooky light from God will stop a crackpot regime from going about its' business. It is not as simple as that one can just tell them "the truth" and they'll change their mind. It sticks deeper. It is the whole deep structure of their world, of their reality, of how they believe the universe works. Which might include all sorts of things like what the world has done to them, which needs to be "righted", and how they think other people work. All of which is information. Oh, it is many other things too, but it is certainly information. And not all information gets corrected just by reading some good counter-arguments against it. Some deep-seated and well-hidden pieces of information take something more thorough and transformative to get them changed. I was using "information" as "the water that rains on our brains" and "perception" as "the land that receives the rain". That land would be our network-of-neurons, that takes primary input only at the very edges. Then that primary input (activity in the neurons at the very border) activates other neurons (which may or may not be ready and thus may or may not react), etc. The brain consists mainly of interneurons. Only a few take primary input. In the end, that propagation activates neurons (probably groups of them), which are possibly quite far away from the initial sensory neurons, and that activity is what we perceive as "I am having an idea". Well, the problem is that our perceptions also are a set of filters, which help us abstract a simplified picture of what the world is like. Our perceptions only operate on certain bandwidths, extremely narrow bandwidths compared to the totality of the universe. And because of how brains work, there are various fallacies we're open to. You know, we can be fooled into perceiving that which we sort of expect to perceive. And yet, perceptions are definitely a step "up" from just information, in terms of how directly we're dealing with things. To see and hear and touch something is senior any day to hearing some piece of information third hand. And a key question, I think, is who's looking. There are perceptions, pathways with filters. But where do they go? Who's receiving them? Who uses the water that falls on the land? And, yes, how we change perceptions is, I think, an important question. How we get beyond the set of limitations we've bought into by having perceptions tuned a certain way, and by structuring our mental models of the world a certain way. How can we transcend that, to see a little more of the world, and, if we have to live with limited views, let's at least be able to choose some of the best available. I completely agree with the comments of Ming. I cannot add one word. Thanks. When I want to remind myself of my own arguments I will know where to find them! magic story very thanks She hit her prime early! She could not produce another scene with the same quality or hotness. Plus she dyed her her and lost too much wesjit..guht not the same.